Wow, I didn't realize what a busy week I'd had until I sat down to blog about it. I did a lot this week, and had a great time doing almost all of it! On a rainy Monday, Young Ah took me to a chinese food place after school as a celebration of my 1 year at my hagwon (she's been helping me study a lot, so she likes to celebrate when I hit any language learning milestones haha). We got delicious fried mandu and some sort of fried eggplant. My sixth graders had a field trip Tuesday, which meant I got to catch up on some lesson planning, some homework and TV. I love deskwarming days. It was also Black Day, a day where single people eat jajangmyeon (black bean sauce and noodles) because they're depressed about being single. Our new nutritionist at school apparently has a sense of humor, cause she gave us jajangmyeon for lunch! this is apple kimchi. Now I've seen everything. On Wednesday, we took a teacher bonding trip just north of Seoul. We stopped at a temple and a garden, and then a tofu restaurant. I even took pictures with some of my office mates. We also visited some special flower garden. It was nice to walk around in the (finally!) warm spring weather. Some of my co workers. They're super sweet! After looking around, we hopped back on the bus, where we road windy, twisting roads to our dinner destination, a tofu house. Unfortunately, I didn't pack my motion sickness medicine for the bus ride, thinking we wouldn't be on the bus for THAT long, and as a result, the 30 or so minute ride on the twisty roads turned my stomach, so I had 0 desire to eat. Sad, because the tofu soup looked good. Not the plain tofu. I'm not into that. It's tofu and veggies and sometimes meat. Thursday was very gloomy and rightfully so. 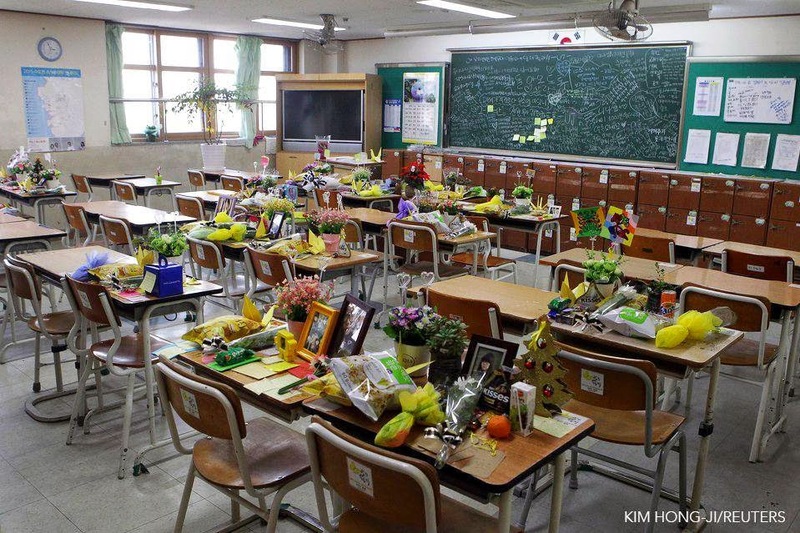 It's been a year since the Sewol sank off the coast of Jindo, and I'm not gonna lie, it's pretty crazy over here. There hasn't been a ton of accountability or a ton of answers or justice for the families, and people have criticized the whole affair. The families were so upset at the president that they just left the mourning alters before she got there because they don't respect her enough to want to be seen at the mourning sites with her. The botched and haphazard rescue attempts are to blame for there being no rescues, and the whole situation was very poorly handled. Even now, people are calling for more action, while government officials seem to just keep saying "but look, the captain is in jail. 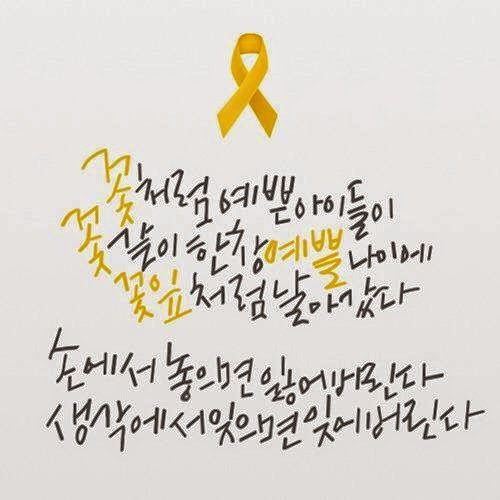 We must become a new, safe Korea" without actually acknowledging their own involvement in the tragedy. President Park even left for a trip abroad on the anniversary, which did her no favors with her decreasing popularity here. Protests have been happening around the city, with the families and protesters being barricaded and shot with hoses and pepper spray as thousands of police forces set up blockades with riot gear. It seems a little overkill to me. In a country that says it's free, on the anniversary of a tragedy for which there are still tons of questions and few answers, allowing the families to protest seems fair. But the police response has been criticized as overkill and brutal. My 3rd graders had a field trip on Friday, so I didn't have to teach, which was well and good, because I was not feeling it. I headed over to Cesca's after school to just relax after a draining end of the week. On Saturday, my friend Jenn was having a birthday party!! We headed over to the Mokdong gun club to shoot some things up. Not the best but I had a good time! After getting our adrenaline pumped Cesca and I met up with Sarah in Hongdae to just chill and get food. We wandered around until the rain made it's return and we called it a night. on things. What is this?!?!? On Sunday, we headed to dance class again, this time to learn the first half of Miss A's "Only You." Miss A is really popular here, and I love this song. While it was also difficult (it's faster and more intricate than it looks at first glance), I feel like we learned it better and the moves made more sense than last week's. Cesca and I have big plans for the next few weekends, so we can't go to class, but look forward to some pretty cool updates. I hope this week was great for everyone. It's rainy today and will be tomorrow, but after that, the weather looks like it will be fantastic. It may be late, but I'm glad spring has kinda sprung! Full disclosure, I don't listen to BTS, nor have I listened to this song more than once. They tend to be more of a pop rap group, and they're all younger than me, so I'll pass. 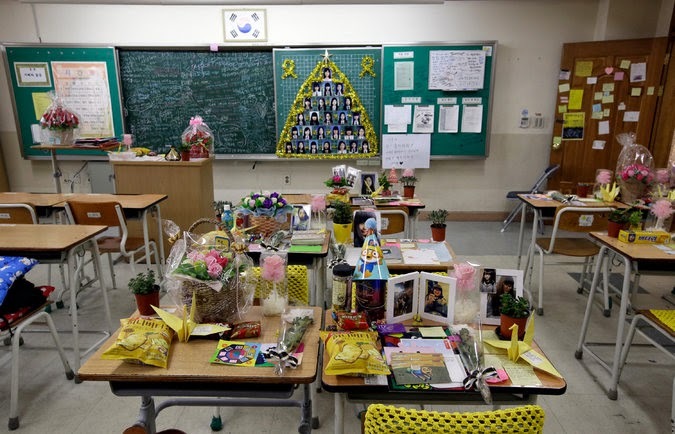 They are pretty popular, but what caught my eye about this was a friend saying that it was an interesting stand against the Korean education system, which it totally is. It seems to criticize the Korean style memorization method that so many perpetuate here. The Western world only sees the test scores and tends to overly romanticize the school system here. They may be top scorers, but keep in mind that their students are some of the least happy in the OECD... Anyway, it was interesting to see an MV take a stand against this style of learning. In a release that I will be listening to foreverr (I already downloaded this song), it's Heechul and TRAX guitarist Jungmo with an adorably upbeat number with a hilarious video (that girl's got some patience, man...). Heechul is silly, adorable, and a guy who marches to the beat of his own drum. It's awesome. Even tho the lyrics of the song are quite sad, because it's basically him wondering why he's so alone and why everyone else is in love except him... But it's so upbeat and quirky that it hides the sad well. Plus, who doesn't love a hot guitarist with pink hair? Hello Christina. So good to know you through your profile on the blogger. I am also glad to stop by your blog post and see those beautiful Korean dishes. I am from Mumbai, India the other part of the world but you are already in the other part of the world. I am in the Pastoral ministry for last 37yrs in the great city of Mumbai a city with great contrast where richest of rich and the poorest of poor live. We reach out to the poorest of poor with the love of Christ to bring healing to the broken hearted. We also encourage young and the adults from the West to come to Mumbai to work with us during their vacation time. We would love to have you come to Mumbai with your twin sister and other friends too to work with us during your vacation time. Since you are in Korea it would be easy for you come for couple of weeks to Mumbai to work with us. We can then take you around and show you the places of tourist interest such as Taj Mahel one of the seven wonders. I am sure this would be a memorable trip to Mumbai, India and also working in the slums with the poorest of poor will be a life changing experience. My email id is: dhwankhede(at)gmail(dot)com and my name is Diwakar Wankhede. Looking forward to hear from you. God's richest blessings on you and your sister. BigBang Comeback Concert and Azaleas Galore!! !